Today, I’m not insecure. One might think I have some great tidbit of wisdom on how to achieve such a state. I don’t. But I can tell you how I got there, at least for today. I know some of my primary weaknesses in writing, one of which is building/conveying emotions. Lately, I’ve been working on that. I knew, based on feedback, that a prologue of mine didn’t build reader empathy. I tried to correct it on my own. Maybe I needed a “Save the Cat!” scene for my characters? 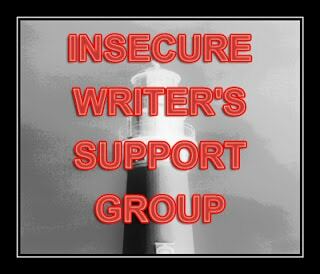 I revised, and then hit up my group in the IWSG Critique Circle. My changes didn’t quite pull off the positive effect I was hoping for. My partners in the IWSGCC made some actionable suggestions. Have the character put up more of a fight. Give more face time with the bad guy. Have the character show more concern. I already knew I have an issue with inappropriately unconcerned characters. It happens with all of my characters. Cera: Oh, my guardian is dying? How about I go on date. Derek: Oh, my hand is numb and I have weird black veins. Man, I’m hungry. MaTisha: Oh, my blood is the wrong color. Can I get something to drink? Unfortunately, when I tried to correct that with LaTonya, it went to the melodramatic side. Ah well. But after getting feedback, I realized the key to emotions is more in the timing and narration clues. I haven’t mastered that yet. But with practice, I should be able to get there. I have direction. Because of that, I’m not insecure. What are you insecure about? What are your major writing downfalls? Do you have someone who can help you overcome them? My biggest downfall is hitting “publish” before I’m 100% ready. The awareness of what needs to be done to succeed is the biggest step toward defeating insecurity. awesome post! you’re aware and that’s all that matters! I had a Save the Cat moment too recently. Sometimes my characters come across shallow so I’m working extra hard to get those moments in early on now! You’re examples of inappropriate character responses are hysterical. I have the same problem. I get so focused on what’s happening I forget the characters involved will react. Good constructive input is great, isn’t it. Glad you have a good circle. I love my critters. I could really use some direction right now. I have been floundering more than a little bit lately. Kudos to you! 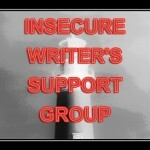 That’s awesome the Critique Circle group was able to help. Knowing what we are lacking is half the battle. Having direction is always huge! That is what will stop me when I’m not sure which way to go. Wonderful that you’re feeling good today! You’re working on your stuff – really paying attention to what you need to improve on (and everyone has something) Glad you’re in a good mood today too! LOVED your character’s responses… but I do see the problem. LOL. I know you’ll work theme out. Just put YOURSELF in their place and react…. Thankfully emotion and atmosphere are my trademarks as a writer, so no insecurities about that. But in life…. You sound so confident, and that’s great! It’s such a good feeling to know where you’re going and what you need to work on. The tickled my funny bone. That’s awesome that you have direction! I struggle with description – as in, not enough of it. I don’t describe scenes or characters well even if I know what they look like in my head. This also falls over into showing character emotion . . . agh. However, I have had some recent help with description and I’ve appreciated it. I’ve actually been working on adding more emotion to my characters and the things they do. I thought I was good as it but a beta reader told me otherwise. I guess you can’t have enough emotional response. Actionable crits are the ONLY crits that help – I’m so so so glad you got some of those! And I think the best any of us can do is know our weaknesses and work on them. No one is without weaknesses, even the greats, but the process of figuring out what they are is NOT easy. So I think you’re in a great spot. Having a direction to go in is a wonderful thing. Good luck, Loni! You can do it! Feedback is so vitally important in this business! I wish I could be totally secure in my writing. The more I write though, the better my writing becomes and the more confident I feel. Hope you have a great month! I think many of us are insecure about the unknowns. Being aware of where you are, what you’re doing, and what needs to be done does tend to push aside the fears and insecurities. Me, I’m always running around like crazy, so insecurity is my friend. Your characters made me laugh! Happy to hear you’re not insecure and that you’re working hard. I’m lucky to have some great CPs that keep me on track. Me, sometimes I move things along too quickly, and they poke me to slow things down. Good for you for knowing what needs fixed, you’ll get there I’m sure. CPs are worth their weight in gold, I would be totally floundering without mine! If you are aware of your writing mistakes, then its half the battle won. Now, all you have to do is to fix it. I have strong critique partners to point out my mistakes. My editor helps me with my downfalls. We connect on so many things that I could not imagine bot having his input on any project. It’s a great help that you have people available who can tell you what you need to do to improve. It is even greater that you can deal with criticism the right way and feel enthusiastic about working harder and getting better at what you do. No doubt with time, you’ll be able to build emotion as you need. 🙂 Keep working! My biggest writing challenge continues to be focus. I wrote a novel, but turns out I’m more drawn to creative nonfiction. Go figure. All that’s on the back burner for now, but at least with the editing gigs I can still be part of the literary world while I think about the types of books I ultimately want to publish. I’m definitely not of the camp who knows beyond a doubt what sort of books I am best served to write. So I guess knowing I haven’t found my “true” focus is a good teacher in and of itself. I’m just like you – sort of a Spock-ish writer. I feel uncomfortable writing emotion. But I’ve been at it for a long time and my CPs have helped a lot. Don’t worry – you’ll hit the sweet spot between unconcern and melodrama with practice! So glad you got the direction you needed! Way to go crit group! I don’t think there’s enough room on the comment form to share all the things I’m insecure about right now. Having direction should help you figure out how to strength what you want. Good luck. I never thought about it that way, but you’re right – knowing that you have issues and figuring out how to fix them goes a long way toward fighting insecurity. I know that one of my own issues is making sure I’m conveying in the text what the characters are actually doing. I’ll see them doing things in my head, but I have to make sure the text actually says that. But it’s something I know to watch out for, so I don’t worry about it as much. I just try to be really careful about that. It’s always nice to have direction, as well as people who can help you out. These days, I’m feeling as though everything I do is a writing downfall, but I sent some pages off to a trusted beta and waiting for the opinion of someone who isn’t me. Hahaha! 😀 Love the dialogue you’ve got going on with your IUCs (inappropriately unconcerned characters). I suppose a “Save the Cat!” scene couldn’t hurt. (No, please don’t. Much as I adore cats…) Your writing is awesome so trust your instincts. Also, so wonderful that you have your group. It is hard to get the emotions exactly right. Even when you know what needs to be done. Grrgh. I think we might get insecure when we feel lost. With a clear direction, there’s no need to be insecure. Atta girl! Knowing the issue is a big step and it’ll take time and advice from your partners to work out the kinks. We all have areas we need to work on.